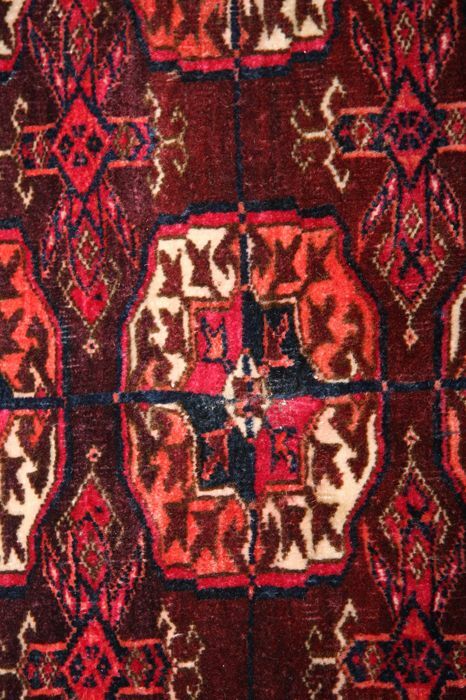 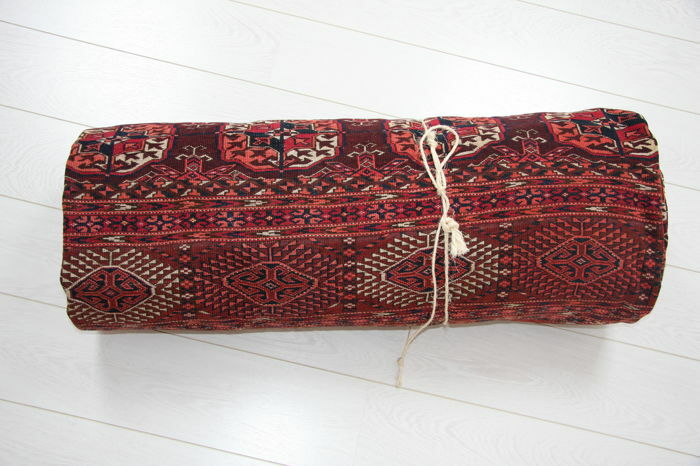 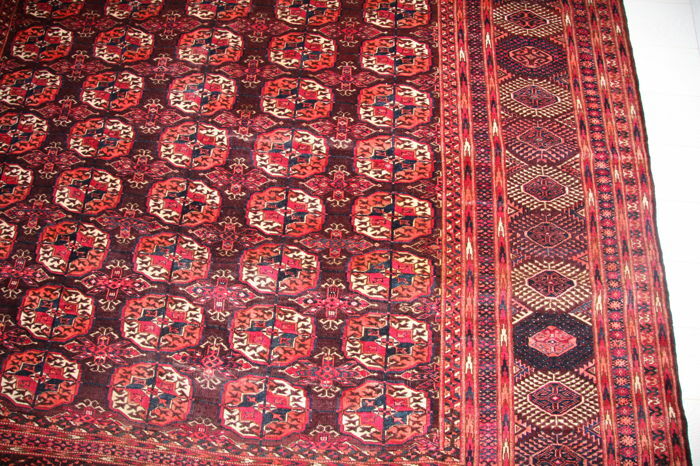 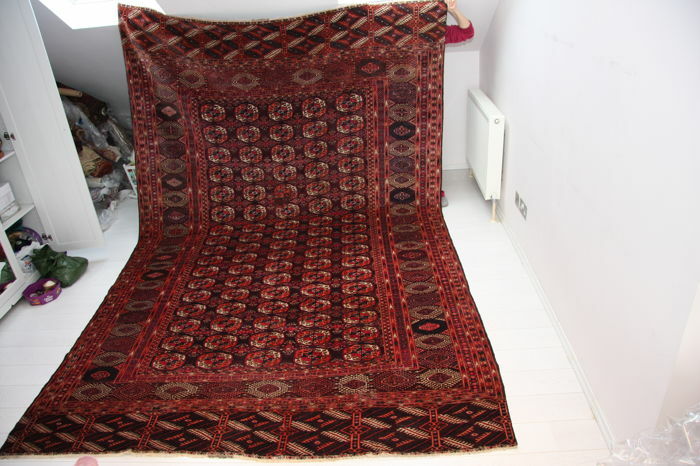 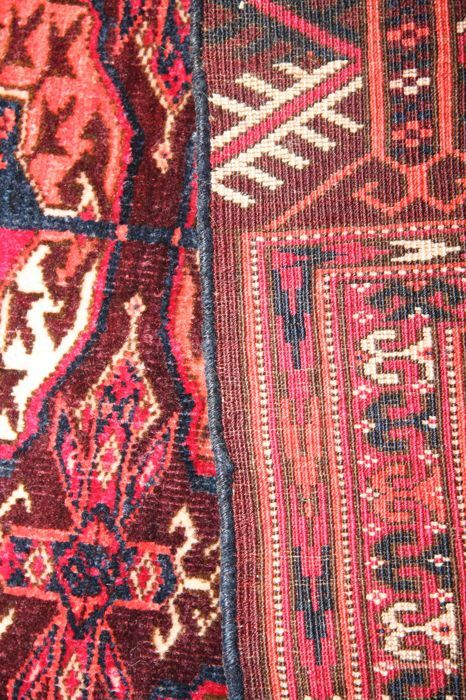 An impressive handmade antique Tekke Bokhara Turkmen rug circa 1910 measuring 370 x 230cm (12'x7.5' ). 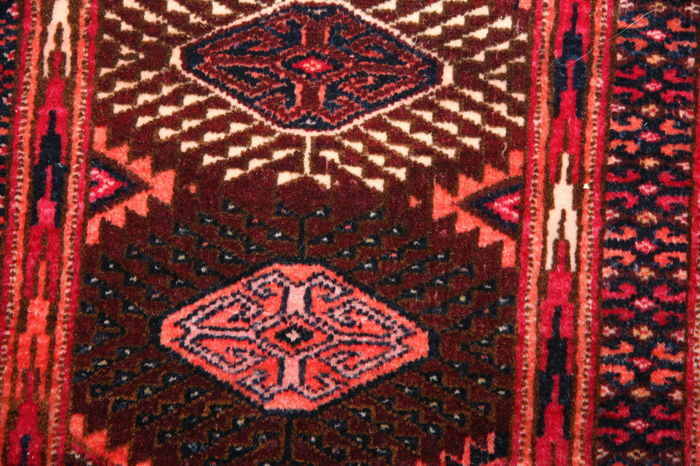 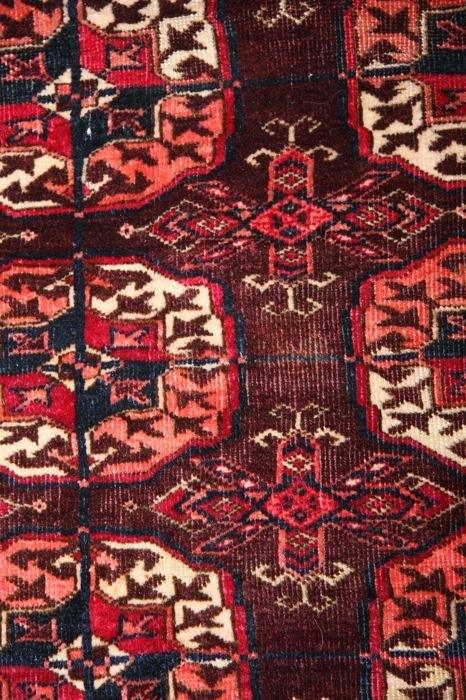 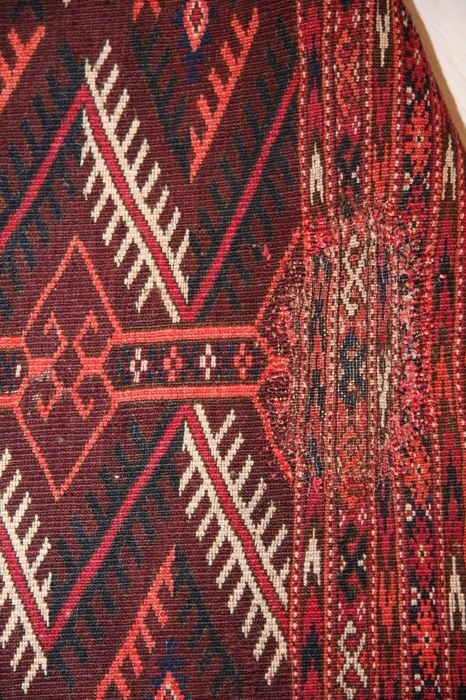 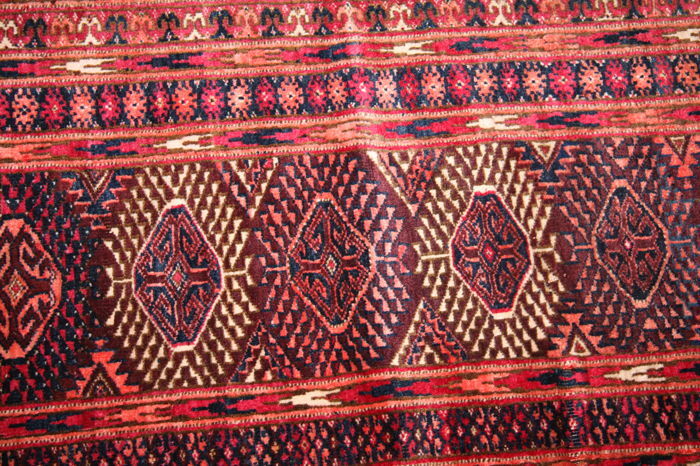 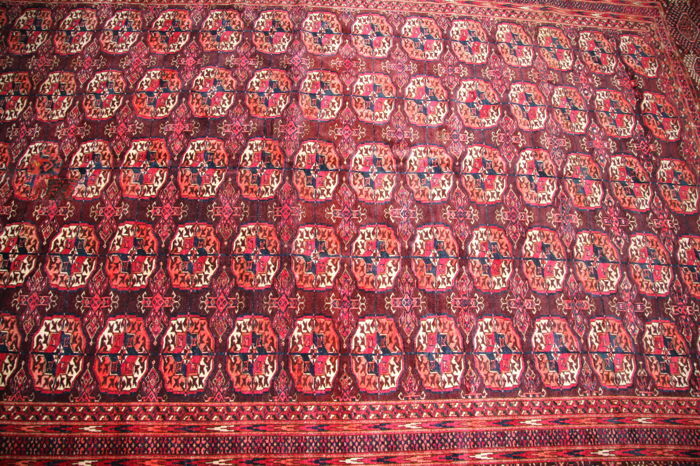 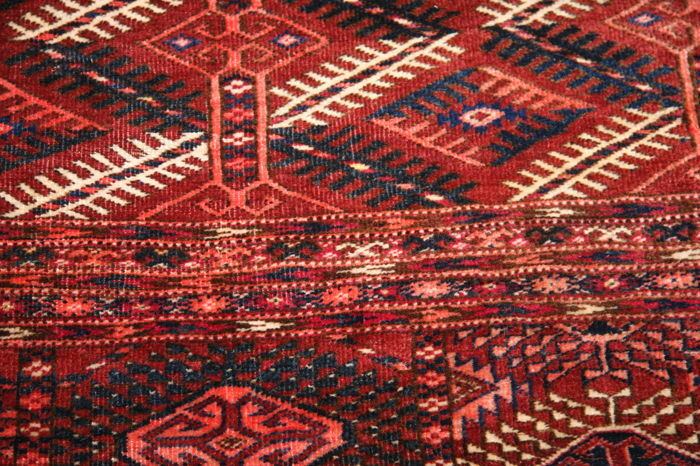 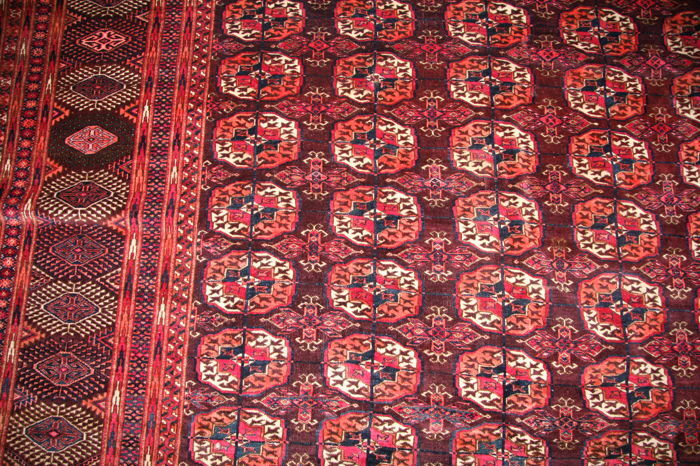 The design is based on rows of hexagonal motifs in dark brown and red field surrounded by geometric borders in similar colours. 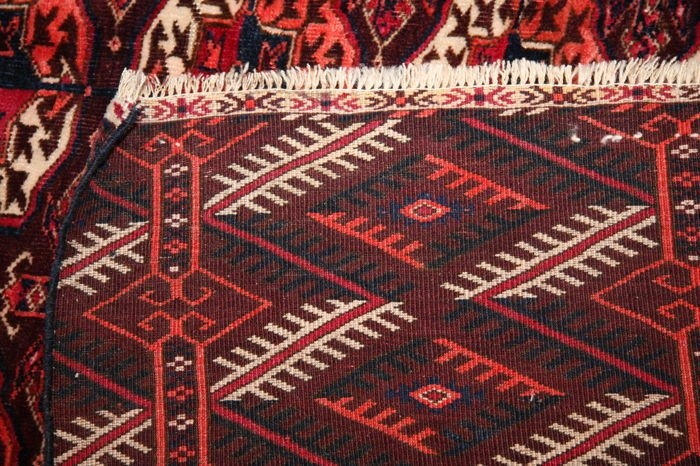 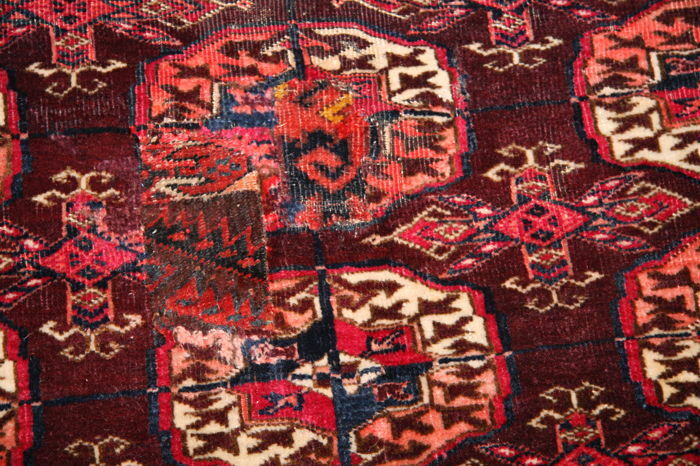 This rug has a very fine wool and weaves indicating the quality and high craftsmanship. 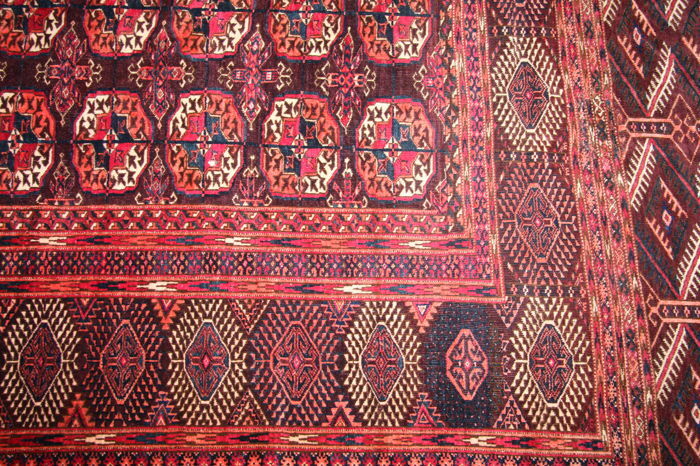 It was professionally cleaned washed and restored. 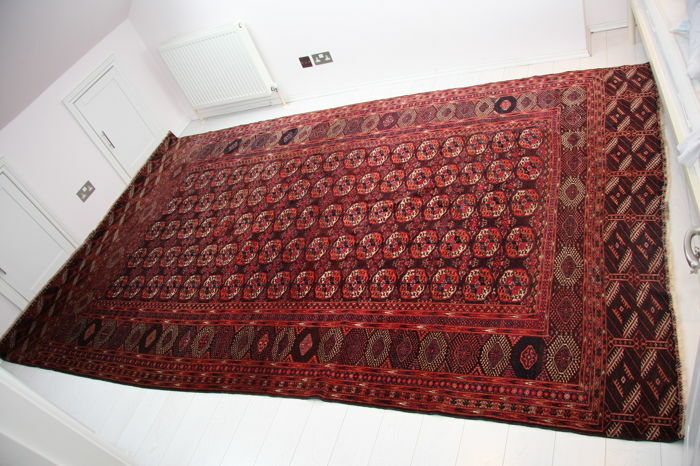 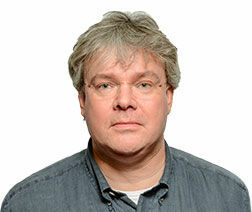 Restoration comprises of three repairs done, both ends secured, salvages newly done, professionally cleaned and washed. 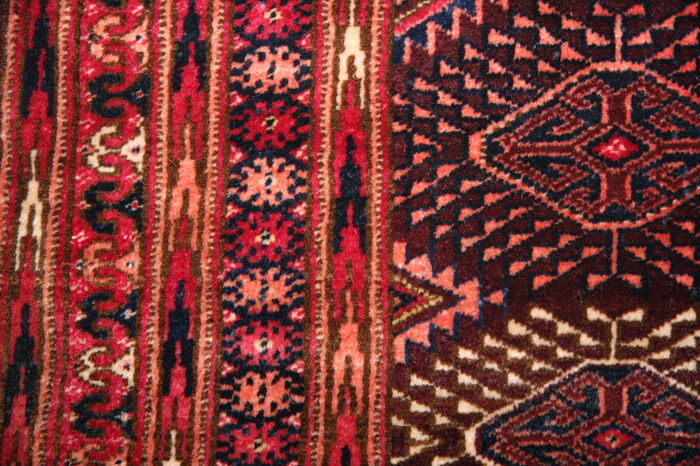 Lovely colours with a good main pile.